We’ve had a boom in sign ups from former Ticketbase customers recently given problems with Ticketbase taking four days to respond to help requests, so we decided to publish a quick guide to help anyone else looking to make the move. I was curious about Ticketbase given the recent exodus so decided to take a look at the company. Firstly I want to say up front that Ticketbase is actually a good system. When you sign up for an account the setup process prompts you to create an event, select a template, then finally create your tickets. The user interface is clear and there are two general templates which you can customise further. I would say for a new small event producer it would work well. There are a lot of warning signs about Ticketbase just by visiting their website. Firstly there is no information about the founders or team which is strange as start ups always want to show that there are real people behind a software product. Secondly there are no links to social media accounts. Companies use these as ‘social proof’ as you can see if a company has an active social media presence the team is active and also it lets you know the team is working full time on the project. (Tip for any aspiring software entrepreneurs: As a minimum you should have an active Twitter account, Facebook page, LinkedIn page and probably Medium and Instagram pages). More importantly there is no blog which we find is the number one way to communicate with our customers…. you should be posting at least on a weekly basis to show that continuous improvement is happening. So I wanted to find out more about the company. Ticketbase has a profile on ‘Crunchbase’ which gives company information.Two founders are listed but when you look at their profiles on Twitter and LinkedIn a lot of projects are listed, but barely a mention of Ticketbase. Firstly you will need to export your attendees from Ticketbase. You can do that by clicking on ‘Orders’ and then ‘Download as csv’. This will then download all your attendees in a file that you can open in Google Sheets or Excel. Secondly create an account over at www.eventsframe.com Recreating your ticket and uploading your header image is super quick and will take just a few minutes. 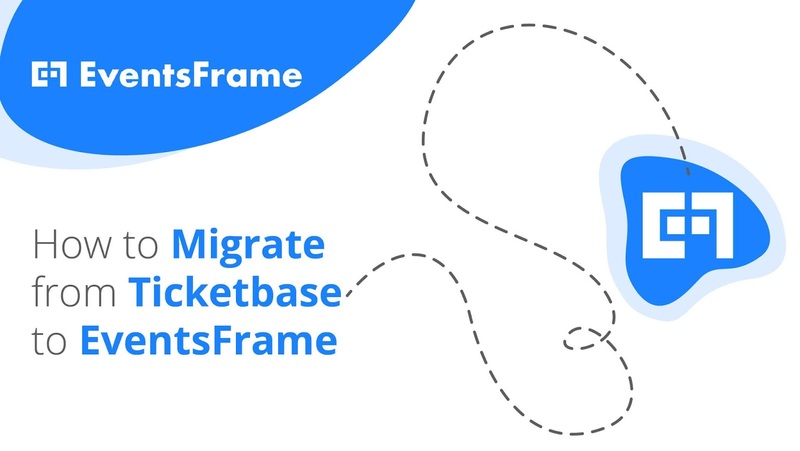 Finally if you would like us to import your Ticketbase attendees to your event in EventsFrame then email us at support@eventsframe.com with the .csv attached. That’s it! Hope to see you soon.